The objective of war is to marshall organized violence in order to intimidate or defeat an adversary for the purpose of imposing a political outcome against its will. Wars can be offensive or defensive in nature, preventative, pre-emptive or reactive, and can be waged out of necessity or choice (necessary defensive wars being the most justified under jus ad bellum standards). The point is to use enough lethal force to secure a preferred political end-game. In recent years this has given rise to something known as “effects-based strategy,” whereby military planners think of a desired tactical effect and plan their deployments accordingly. I shall not detour into how the “fog of war” and an adversary’s will and preparation play a role in determining real, as opposed to desired combat effects. Suffice it to say that the idea that one can go to war with an eye to a specific effect is problematic, and that is even more true at a strategic level than it is on the battlefield. Instead, let us consider Iraq as an exercise in effects-based war-mongering. Leave aside the bogus WMD justifications for attacking Saddam Hussein’s regime. Let’s look at the real reasons and see how well the invasion and occupation of Iraq achieved those ends. Dreamt up by the feverish minds of the neo-conservative Project for a New American Century (which included Cheney, Rumsfeld, Perle and Wolfowtiz among its members), the invasion of Iraq was designed to remove a stable but hostile authoritarian regime in order to replace it with a US-friendly regime that would give US companies privileged access to Iraq’s oil supplies (with fuel retail prices coming down as a result) and which would allow the permanent stationing of US troops on its soil. US military assets in Iraq would come from the transfer of troops and weapons from Europe and Saudi Arabia, since the former’s presence was made unnecessary by the end of the Cold War and the latter were a source of hatred in Islamicist circles and a potential source of domestic instability for the House of Saud. The idea was to create a land-based aircraft carrier in Iraq, numbering up to 100,000 troops with a full complement of weapons, in order to intimidate Iran and Syria while bringing fight against al-Qaeda to home soil. Having such a force forward-deployed in Iraq would also reduce rapid response times to other theaters, Central Asia in particular. This scenario (the strategic “effect”) rested on the assumption that Hussein’s successors would be compliant if not democratic, that Iraqi Shiia and Kurdish populations would welcome US troops even if the Sunni population did not, that Baathists could be purged from the public bureaucracy without loss of efficiency and that any resistance could be defeated with overwhelming force. It assumed that Iran would be intimidated by the move. In order to produce the “effect” the war would have to be successfully prosecuted through its four phases (stage, thrust, seize and hold), and the international community would have take up the task of post-war nation-building as soon as Saddam’s statues had dropped from their pedestals. Very little military input was sought in the making of these assumptions, and none of them proved correct. Instead, Sunni and Shiia Iraqis violently resisted the occupation while the Kurds turned to in-fighting and irredentist actions in Turkey, the post-Saddam government (although elected and laboriously installed) has proven corrupt, unstable, unreliable and less than obsequious to American demands, the Iraqi armed forces dissolved into the resistance and have not yet reconstituted, the public bureaucracy collapsed and national infrastructure destroyed, both yet to be resurrected, all while Iran strengthened its influence in Iraq as well as in the broader Gulf region. The last item is important. The US enemy d’jour, Iran, is in a better geopolitical position today as a direct result of the occupation next door (which allowed it to funnel advisors and material to Shiia resistance groups, particularly the Mahdi Army). Iraq is no longer a buffer between the Persian and Sunni Arab worlds, but instead is contested ground. Meanwhile, the Arab world is convulsed by domestic dissent to the point that US backing is not enough to stave off popular protest or Iranian influence amongst Shiia minorities in the region. As for the human cost, 4500 US troops were killed in the nine year occupation, more than 30,000 have been wounded (with many of those suffering catastrophic injuries that would have been fatal in previous wars), and more than 100,000 Iraqi civilians are estimated to have died through no fault of their own as a direct consequence of the war. Corruption and ill-discipline infected the ranks of US civilian and military personnel as the occupation wore on, to the point that Abu Ghraib and Blackwater excesses are among the most potent images left in its wake. There is no permanent US military base in Iraq. So what was the overall effect of this effects-based war? Iran is regionally stronger now than before the invasion. Its influence in Iraq is greater now than before 2003. The Malaki government in Baghdad is neither democratic nor pro-US and instead is more susceptible to Iranian influence than ever before. The Kurds have not proven to be reliable US proxy counter-weights to Sunni and Shiia factions in Iraq, and instead have fomented trouble with a key US ally, Turkey. The Assad regime in Syria is in trouble but the US had nothing to do with that and can do nothing to force a preferred outcome there. The Sunni Arab street is in revolt against US-backed regimes. Anti-US forces elsewhere have learned from the Iraq resistance and modified their tactics accordingly (the use of IEDs being the single most important lesson now shared by jihadis and others world-wide). The Afghan occupation–which was the only post 9/11 US military action that enjoyed broad international support and which was largely neglected during the height of the Iraq conflict–now languishes even as it spills over into Iran in the guise of stealth spy drones and special forces incursions. While the US has been preoccupied with its wars, major rivals China and Russia have found opportunity to re-arm and expand their spheres of influence relatively unchecked (the 2008 Ossetian-Georgian war being an example). 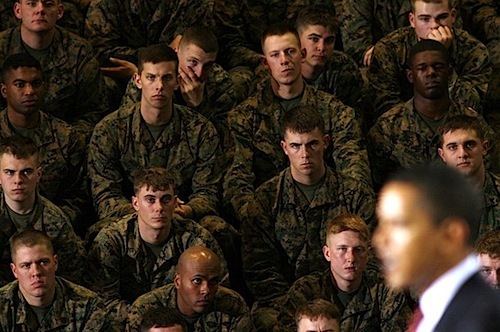 There has been an epidemic of post-traumatic stress disorder issues within returning US service ranks, and the US public has grown tired of fruitless war rather than proud of it as the “liberating” gesture that it was supposed to be (or sold as). Oh, and the US teeters on the edge of bankruptcy as a result of deficit war spending and the price of gas at the pump (which soared after the invasion) is at record highs while Russian and other non-US companies negotiate contracts with Iraqi oil suppliers. From a US strategic standpoint, the invasion made the regional situation worse, not better. The attack on Iraq was legally unjustified, ill- conceived, based on false assumptions and counter-productive in the end. Although military skills were honed and weapons advancements made, by any political measure the US is in a weaker position in the Middle East than it was before the invasion, and its major rivals are demonstrably stronger at a time when the entire region is less stable now than it was in early 2003. Unless one subscribes to the view that preventative wars of choice are waged by the US in order to fuel the military-industrial complex, the Iraq War was a defeat. Although orderly, the circumstances of US military withdrawal from Iraq were not of its choosing, and the political situation it left behind is unstable, deteriorating and not protective of US interests. One does not have to be a Realist to understand that many lives were wasted in armed pursuit of an impossible effect in Iraq (although it was US realists who argued the most vigorously against the invasion in the months before it happened). It was, in other words, a cluster**k of epic proportions. Doing things for effect is not the same as doing things right, or being right. The US going to preventative war in Iraq by choice and for effect was not right and was not rightly done. It was wrong and criminally stupid to do, and no amount of patriotic gloss can alter that fact. He’s telling them the Iraq war is over in 18 months – later than the campaign promises, and with more of them in-theatre than expected, but sooner and fewer than the alternatives. Do they believe him? Do they approve? Does it register?